Hainan Provincial Culture and Sports Bureau recently announced the 2012 Tour of Hainan International Regatta (THIR) is scheduled to kick off at Sanya Luhuitou’s Peninsula Sailing Port from March 9th to 19th. 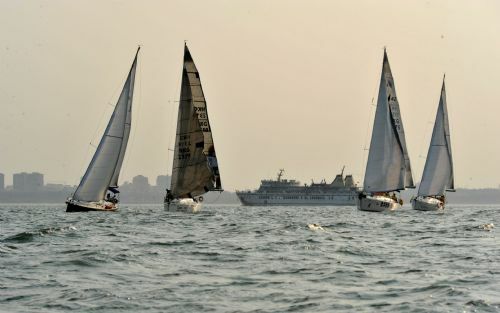 The regatta, consisting of rally racing and track racing, attracts 21 sailing teams from France, Australia, the United States Canada, New Zealand, Denmark, China Hong Kong and other countries to compete for the prize money raised from 200,000 yuan to 30,000 yuan. This year, the 11-day sailing race covers a total of 500 miles and is regarded as the Everest of sailing in terms of distance and time scales. During the period, a series of activities like international auto show, sailing academic forum and sailing training camp will be held to add fun for the sailing event.